Villa Renaissance on Grace Bay Beach. The excellent Grace Bay Beach at Villa Renaissance. The luxury and beachfront Villa Renaissance is located in the heart of Grace Bay. This accommodation features 36 prime suites, with one, two, and three bedroom units in Italian-inspired architecture. Choose from penthouse, ocean view and garden suites. Villa Renaissance also has an onsite concierge to assist with your stay and activity and dining bookings. 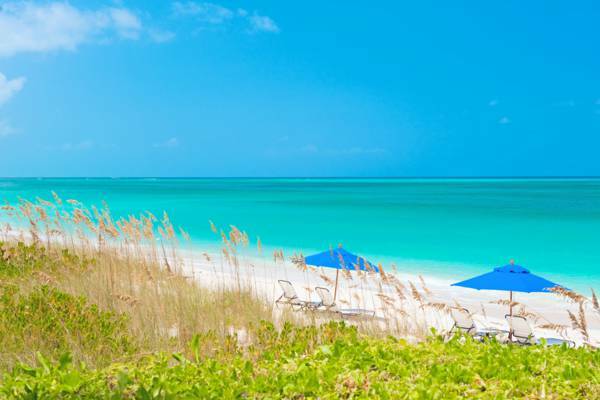 Villa Renaissance is found on a prime spot of the spectacular Grace Bay Beach, yet this section of the famous coast tends to be a bit more quiet and secluded than many regions of the beach due to the relative lower density of the surrounding resorts. There’s always something to see out on the water. Parasailing takes place over the bay, boat tours cruise by, and Hobie Cats are everywhere. The suites Villa Renaissance at feature full kitchens that are complete with granite countertops and high-quality fixtures. Groceries can be pre-stocked for your arrival upon request and at additional cost. There’s also an onsite fitness centre, pool bar, complimentary use of beach towels and umbrellas, and a clothes washer and dryer in each unit. If you’d prefer to discovery the sights of Grace Bay by bike, the complimentary use of bicycles is also included for guests. The resort also features lighted tennis courts and complimentary use of rackets and balls. 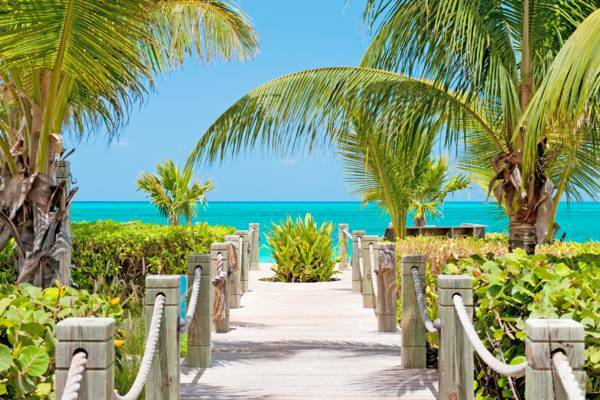 The tranquil Grace Bay Beach. The full service Teona Spa is located onsite at Villa Renaissance, and offers massages, manicures and pedicures, facials, body wraps, scrubs and beauty services. Teona Spa also provides mobile services for treatments in your suite or elsewhere on Providenciales. Villa Renaissance is located a very short walk away from several of the top shopping plazas in Grace Bay, including the Regent Village, Saltmills Plaza, and Le Vele Plaza, which host a plethora of dining and shopping establishments. The small yet select Graceway Gourmet supermarket is also within walking distance of the resort, and carries a great selection of gourmet and organic groceries, as well as prepared foods, alcohol, and beach essentials. If you’re looking to pick up beach apparel or water sports equipment such as snorkelling masks and fins, rash guards, or beach toys, there are several outdoor-oriented shops. Last reviewed by an editor on 5 June 2017.